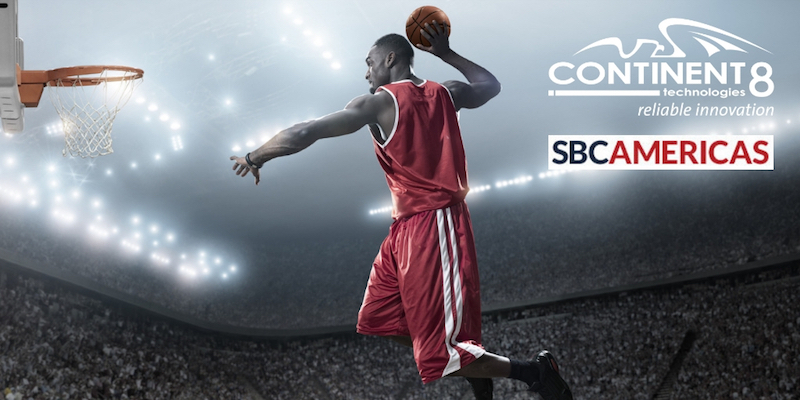 SBC Americas caught up with Continent 8 to find out more about its current activities and plans for the inaugural Betting on Sports America conference where it will be showcasing its ‘first-to-market’ solutions. SBC Americas: You’re already active in the Americas – how is the market progressing for you there? Continent 8: Since the repeal of PASPA, Continent 8 has made a commitment that it will enter into every significant regulated online gaming market across the United States. Going forward, we will have offerings in advance of any US state market opening up to online sports betting to offer an interconnected multi-state Gaming Exchange network and data center footprint. This position is demonstrated by our entry into New Jersey back in 2014, followed by rapid growth into Pennsylvania, Mississippi, West Virginia and Nevada where we have set up services to address the needs of our customers. The US market is proving spectacularly progressive for us, with a broad range of online gaming clients utilizing our data centers and interconnection capabilities across a range of regulated states. An example is the recent opening of our second data center in Philadelphia to serve client demand. This offers a fully regulated hosting environment under our PGCB interactive Gaming Service Provider authorization. A close relationship with regulators has enabled us to deploy hosting, security and connectivity solutions in advance of formal regulation and in turn offer our customers agility and speed to market in these new states. June will see the highlight of Continent 8’s US activity to date, with the exciting launch of our brand new DGE approved, independent data center in Atlantic City, operating under our CSIE licence. This will be complemented by a leading Disaster Recovery and Back-Up solution for operators to enjoy the benefits of resilience and performance, never experienced to date in Atlantic City. We will also look to deploy our igaming Cloud platform into this facility to offer innovation, scalability and long-term ecosystem cost savings, relaying confidence for clients to deploy infrastructure solutions in the knowledge that long term growth can be securely and resiliently delivered. Read the full article at SBC Americas. Betting on Sports America is a unique event that offers just that with more than 1,500 executives from the worlds of sports betting, sports, casinos, tribes, regulators and lotteries coming together to look ahead into new US market. The Continent 8 team will be exhibiting at the event – come visit us at stand 627!